I had lots of fun making this bird house. 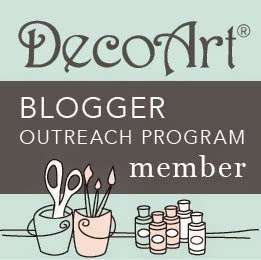 All the paints are from the DecoArt range. For this I've used Whimsical Flora, Whimsical Spike, Mini Whimsical Birds 2, and Fly. Have you joined in yet?, go on you know you want to. You don't need to use Lost Coast/Carmen's Veranda stamps, but we love it when you do. 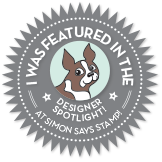 It's day 3 of our new stamp release over at Lost Coast Designs and Carmen's Veranda. I did warn you last time that I would be bringing my spooky head, and no one does spooky better than Edgar. 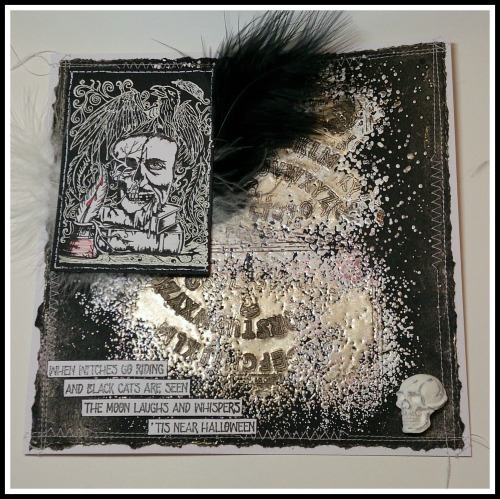 This hansome chap is Goth Poe, and the embossed background is CV's Ouiji Board. The quote is one of CV's clear stamps Witches Go Riding. I know it isn't really near Halloween, but like Christmas you can never start to soon! Please note no ravens were harmed during the making of this piece - I wouldn't dare! So catch the nearest broom over to the Portal and prepare to be amazed by all my teamies works of art. 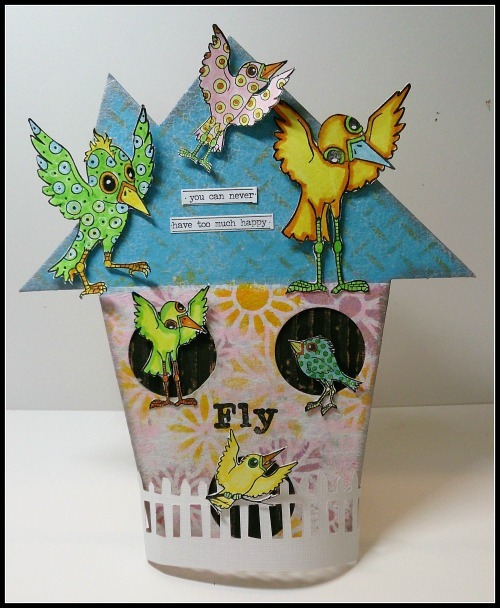 I'm entering my bird house into the anything goes with die cuts challenge at Happy Little Stampers, Anything goes at That's Crafty, and the TIMI challenge at Craft Stamper. Great creations! 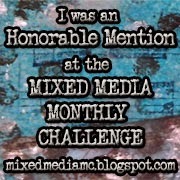 Thanks so much for joining us over at HLS ATG w/ Dies Challenge this month! Love all of those funky birds! 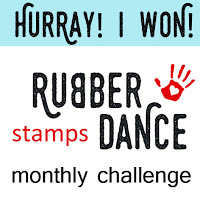 Thanks so much for playing with us at Happy Little Stampers July Anything Goes With Dies Challenge! Sweet tweets, Sue, but Poe gets my vote! 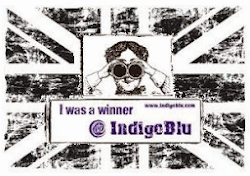 I have long been a fan of your blog, not just for the art - - but for your amazing humor and wit! Well done, my friend! Love em both ! Great projects !